This book was born in collaration between the Civil Security, the Dash 8 crews deployed in Reunion, the Prefecture communication pole, Thomas Campeaux (former Sous-Prefect based in Saint Paul during the wildfires of 2010 and 2011 in Maïdo), and the photographer Pierre Choukroun. In 2010 and 2011, Reunion encountered the worst wildfires in its history. To face this catastrophy, authorities decided to call for air backup, and chose the Dash 8. The fire would soon be extinguished thanks to that aircraft. 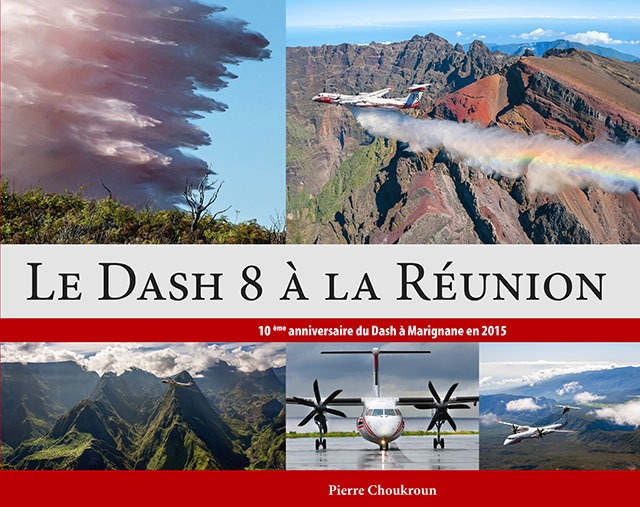 Since 2012, the Dash 8 is sent preventively to Reunion each year, from October to December. Its capacity to intervene very quickly on starting wildfires allowed to protect the island’s forests effectively. 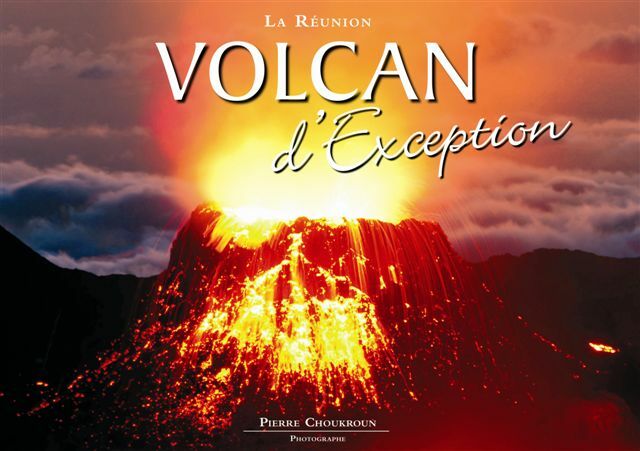 This book introduces this plane on its missions in the wonderful landscapes of Reunion Island. The photographs in this book have been taken over a period of 5 years. They are the work of Pierre Choukroun and Thomas Campeaux. Who, in Reunion Island, has not tried cooking recipes and has not been disappointed to find out that some of the ingredients were missing? The idea of this book comes partly from this observation. We offer ambitious recipes made only with products available in Reunion – when they are hard to find, we point them out to you! Those recipes are all easy to make by food lovers. They were all tested in a non-professionnal kitchen and are adapted to family needs. They are also available on « L’atelier de Ben »’s cooking class schedule. 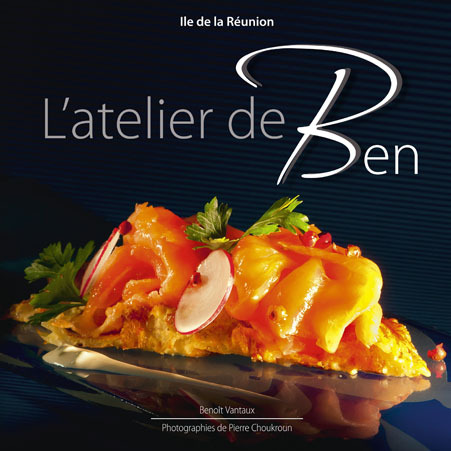 Benoît Vantaux is a young chef who adopted Reunion Island as his home land, and whose success is increasingly recognized. He truly is a wizard of flavors enchanted by the love of his craft. Ben achieves the subtle blend of traditional French cuisine and the exodic taste of Reunion by brilliantly adding a touch of Asian inspired culinary magic (Bali, Java, Thailand). In short, a dazzling trip to the land of flavors. All the pictures in the book were taken by Pierre Choukroun, a photograther linving in Reunion Island. He travels around the planet whenever he can, always looking for new horizons and new pictures matching his view of the world. With this book, he explores the possibilities of culinary photography. Pierre Choukroun has photographed the Piton de la Fournaise for the last 35 years. He has witnessed many of the eruptions taking place on what has now come to be regarded as one of the most active volcanoes in the world. Recent eruptions have often been spectacular. This book retraces his photographic career with many colourful, often amazing photos. From red to blue with torrents of lava cascading into the sea, from red to white with a snow capped tropical island volcano, from red to black with the spectacular collapse of the Dolomieu Crater and the complete metamorphosis of the summit of this amazing volcano. It is a voyage to the heart of La Fournaise by way of one of the volcano’s most ardent spectators. Pierre Choukroun arrived on Reunion Island at the age of 9 years old. As early as 1972, when he was just eleven years old, he witnessed his first eruption. This one lives in memory as the Cratère Magne eruption. At this time eruptions were something of a rarity, occurring maybe, once every three to five years. Already at this time he began to try his hand at photography using an old 6X6 Semflex. The results were not very convincing… but the photographic bug had definitely been caught! During the eruption at Piton Sainte-Rose in 1977, he managed to infiltrate the cordoned off area hidden in a car boot! ("There's an amnesty after 30 years Pierre!"). He returned with numerous photos taken during this human drama which touched him profoundly. Since then, Pierre has witnessed almost every single eruption.